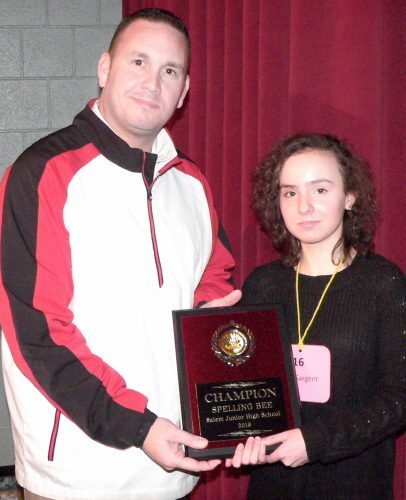 Eighth grader Maria Sargent repeated as champion of the Salem City Spelling Bee held in the high school auditorium Friday morning. Pictured, Junior High Assistant Principal Todd McLaughlin presents Maria with her first-place plaque. 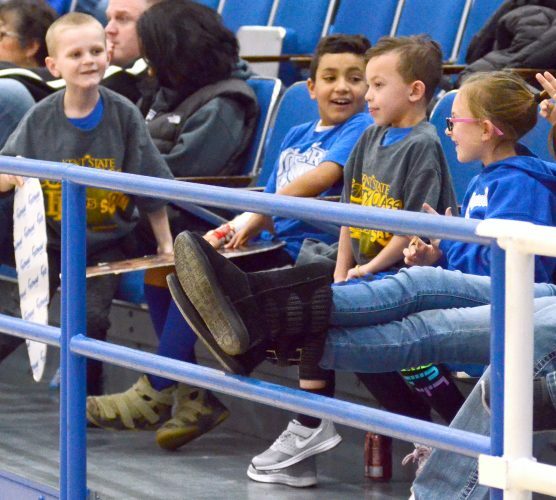 These little Potter fans, 9-year-old Javan Dawson, 7-year-olds Parker Manley and Marcellus Roach and 6-year-old Cameron Conley were taking care of the fat heads and cheering their Potter players on during the game against Salem Tuesday.